While winter may be in full swing, it is time to start thinking about the spring. Before you know it, the weather will begin to warm up and you will want to start entertaining guests outdoors. But what shape will your yard be in when spring has finally sprung? Now is the perfect time to start preparing your yard ready for spring. And where better to start than with your wood fence? Start Maintenance Early: Most plants and shrubs are dormant during the winter, making it easier for you to reach every part of your fence. It’s about more than Aesthetics: Remember, routine fence maintenance is about more than just aesthetic appeal. Regular maintenance is also the best way to extend the life of your fence. Make a List: Starting maintenance early also allows you to take your time. Putting maintenance off until the last minute can be rather overwhelming. So make a list now and start getting things done right away. 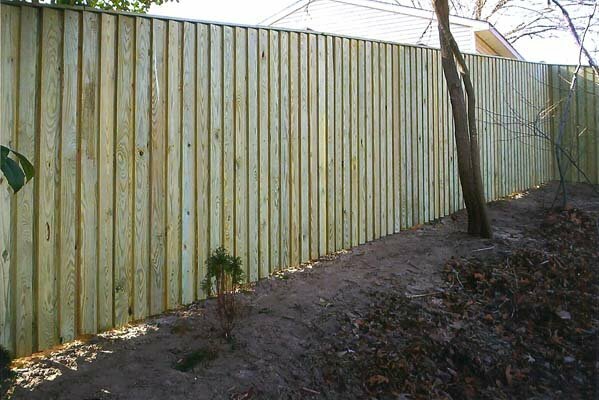 Before you know it, your wood fence will be in tip top shape. Physical Inspection: Look over every aspect of your wood fence. If you notice any damage, address it immediately. The longer you wait, the worse the damage can become. Remove Overhanging Limbs: Tree limbs and your wood fence do not mix. When these limbs fall, they can cause a lot of damage to your fence. So take the preemptive approach and trim overhanging branches before they cause damage. Trim Shrubs: There should be some space in between your shrubs and your fence. This will help extend the life of your fence and minimize damage. Remove Debris: Be sure to remove debris from around your fence. This debris, when wet, can increase the risk of mold, mildew, and other fence damage. Consider a New Fence: If your fence is falling apart, routine maintenance and repairs may not be enough. It may be time to invest in a new fence. With 40 years of experience, Freedom Fence and Home has built a reputation for building the highest quality fences throughout Baltimore and Harford County, Maryland. We provide a high quality wood, vinyl, chain link, and aluminum fences and we stand behind our work. Plus, because we are a smaller company, we will be more focused on addressing your needs. So why would you call anyone else? This entry was posted on Thursday, February 7th, 2013	at 4:22 pm	. Both comments and pings are currently closed.